Having large dog at home you should take him out regularly. 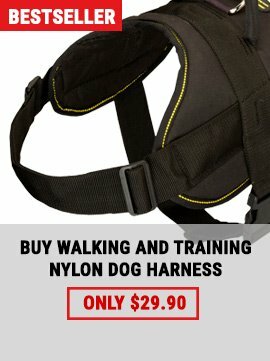 But how to do that without relevant training dog gear? You know, every walk with your dog is a new experience for him. He is happier if you walk next to him, is not he? 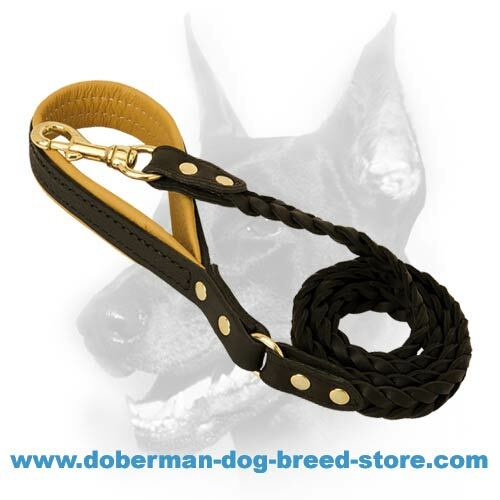 If you lead him on wonderful leash you will establish closer contact with him and will be able to teach him appropriate behaviors at the same time. 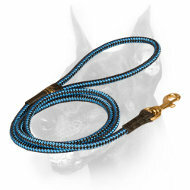 Walking and training your dog r possible with one and the same dog accessory – Our Hand Crafted Dependable Dog Leash! 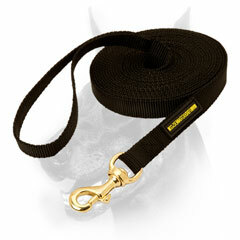 Using this leash everyday you will not need to worry about your dog’s escaping you. He is totally controlled when leashed like that. 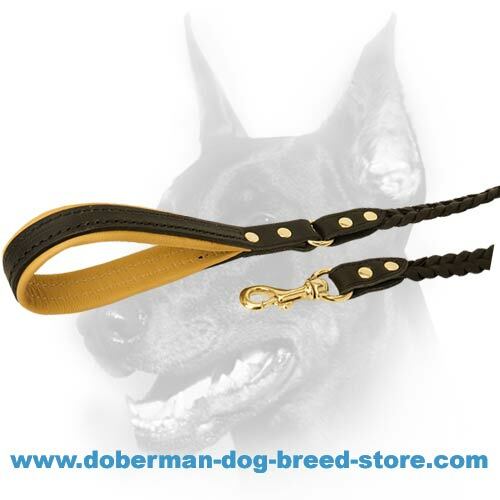 Choose this leash for your Doberman – no need to hesitate about making this purchase as it is your lucky chance to start dealing with your Doberman professionally. 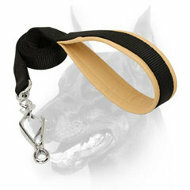 No experienced dog trainer will teach a racy dog without a special accessory. 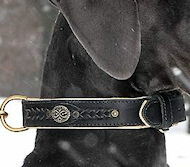 Besides, unique functionality and benefit of this leash you will admire its exterior always. It looks like million bucks but costs only some dollars. 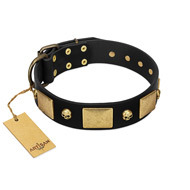 It is most trendy dog leash which is made exceptionally to order. This leash was resulted from hard labor of our distinguished makers who take much pain to create nothing but continuous masterpieces. 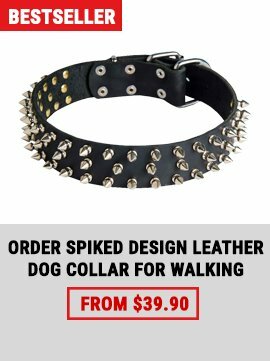 This dog leash claims to be most distinguished invention of XXI century!! 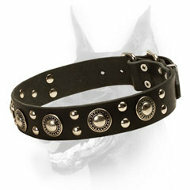 Buy this attractive inventory for your Doberman and you will see how soon his life will take change for the better! 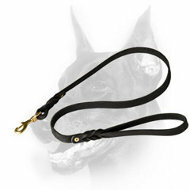 Leashed dog is allowed to visit public places, to travel, to ride in community transport. 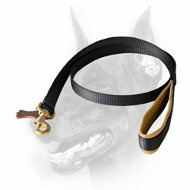 Reputed makers of wide range of greatest dog goods know that you need this wonderful leash! Our leads are best worldwide! 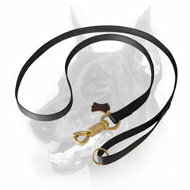 Large dog breeds like Dobermans are really easy trainable with our leashes. But what is the secret of such obedience? Maybe it accounts for our love for both the breed and the craft? Dogs feel when you to do right and when wrong. 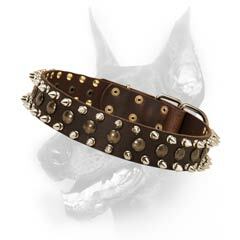 Leading your Doberman on this leash you communicate good manners to him – your dog will never object to follow your instructions. The reason is assistance of this leash. 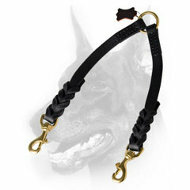 Teaching your Doberman with this leash you will succeed in his education faster than when using other dog accessories. 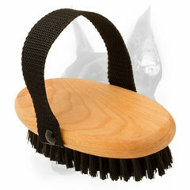 Our dog training equipment will never let you down!! 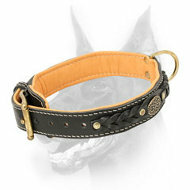 Best sorts of leather used for the leash. 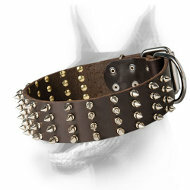 If you touch the surface you will feel smoothness and softness of full grain leather this leash is made out of. This leather features incredible strength but at the same time gentleness – unique combination of qualities peculiar only to this kind of leather. The leather will have always attractive look if you care for it with use of leather conditioners. Avoid contact with water which will sure to destroy the leather. 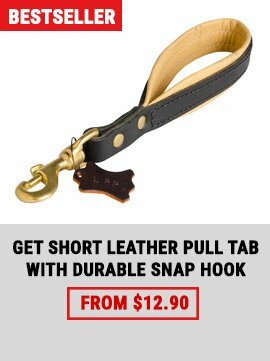 Extremely convenient snap hook – the most dependable fastener that is easily attached to a collar. When connected with a matching collar the hook will never unlock. It may unlock only if you want this. Brass snap hook is very strong – resistant to breakage. 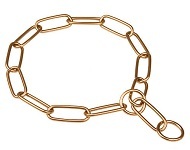 Brass is a non-corrodible alloy, in addition. Its goldish color will never get dim. 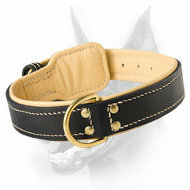 Beautiful leather color plus yellow color of the fastener go well together. Control handle is your salvation. 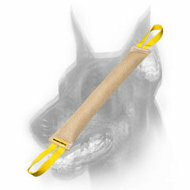 With this handle you will be able to always manage your dog showing where he should go or what he'd do. Jerking the leash you do not run any risks at all – your palm will not be rubbed as Nappa padding of the handle’s inside excludes it. The padding is so soft that even tough leash jerking is not problem anymore! 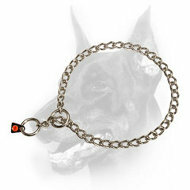 Let’s conclude: handling this leash you achieve best results in your dog’s training but do not ever hurt your hand!